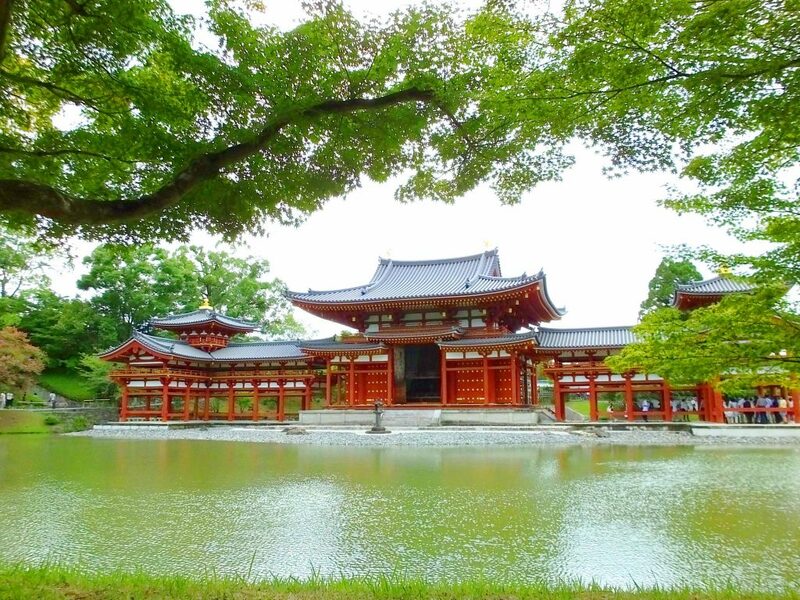 Byodoin Temple is located in Uji City, Kyoto. 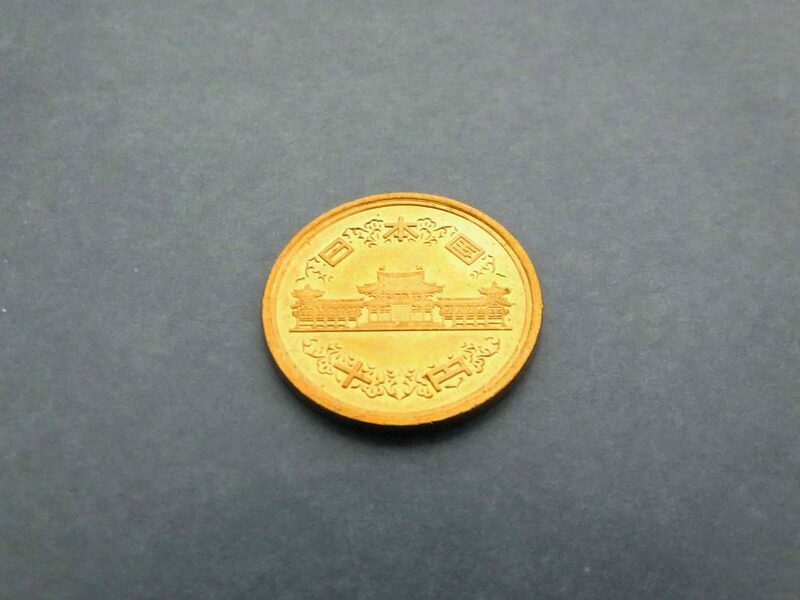 It is very famous for its Phoenix Hall that is depicted on the obverse of the 10 yen coin. Look at the picture. The entire shape of the building is beautiful, isn’t it? The other day, I visited the temple. The weather was fine and I was happy! 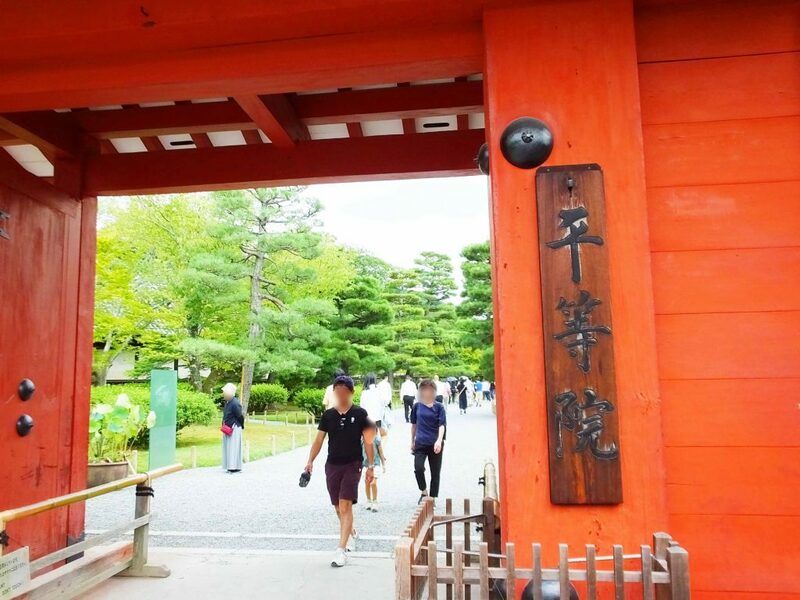 At the gate, I found Chinese characters for “Byodoin Temple”. The admission fee was 600 yen for an adult. 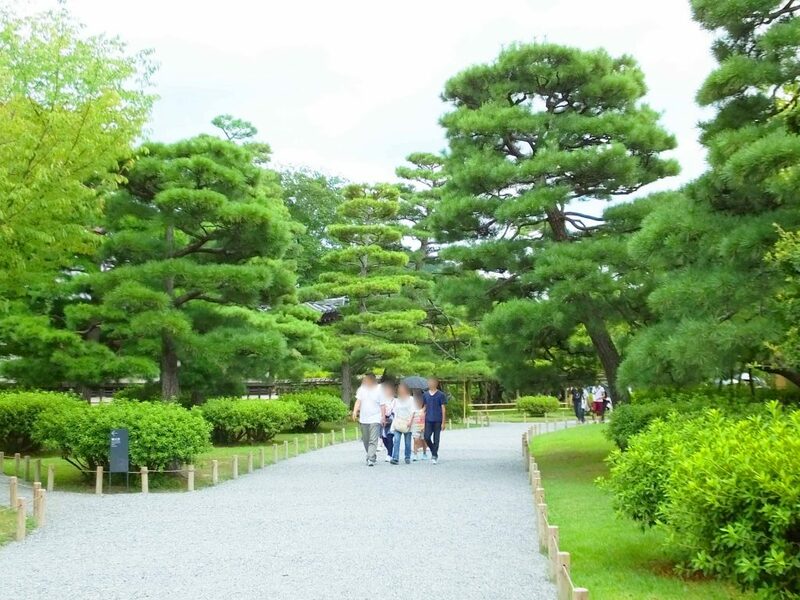 Soon after entering the temple, fresh green pine trees are waiting for the visitors, which made me feel relaxed, though I was excited about approaching Phoenix Hall that I see on coins almost every day. 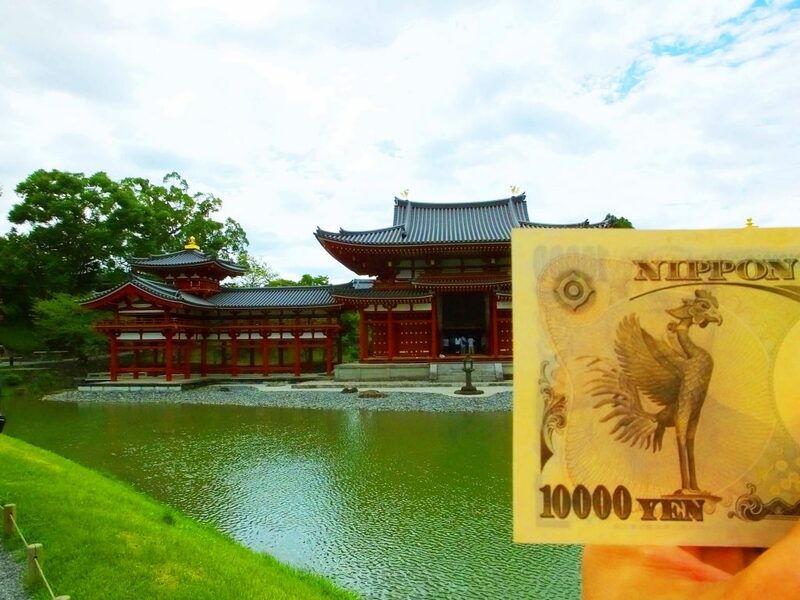 As well as the 10 yen coins, you can find the phoenix on the 10,000 yen notes that have been issued since 2004. Phoenixes are believed to bring happiness to people. 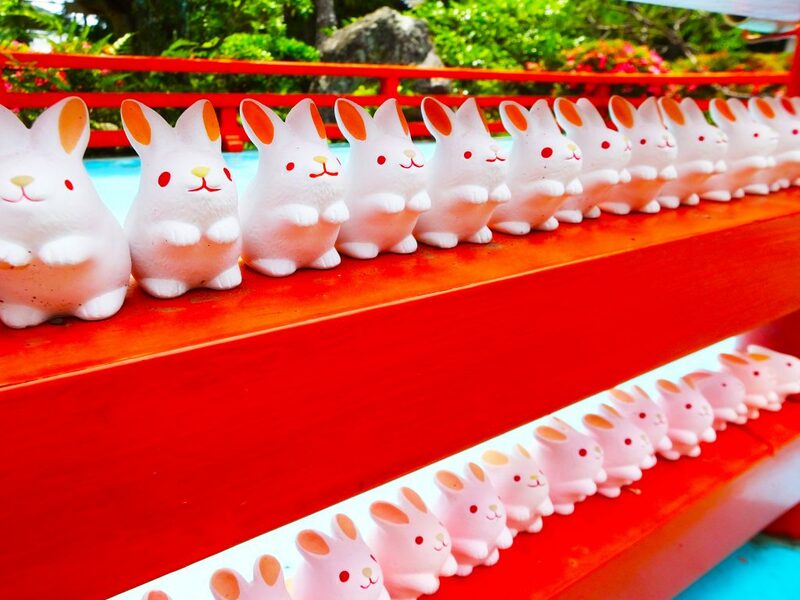 Depicted on the 10,000 yen notes, they are floating around, carrying happiness all over Japan. How nice it is! 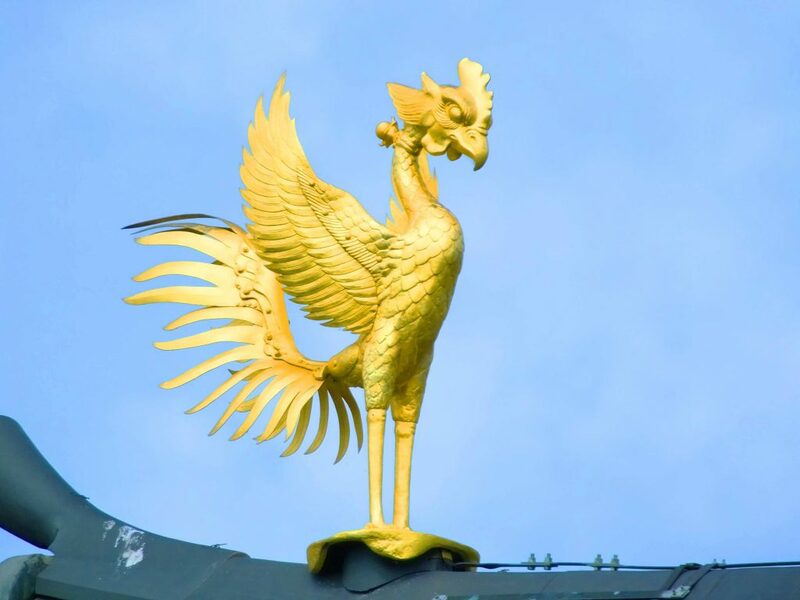 Actually, the pair of phoenix statues on the roof of Phoenix Hall is not what was originally made. Original ones are now in Byodoin Museum Hoshokan for preservation. 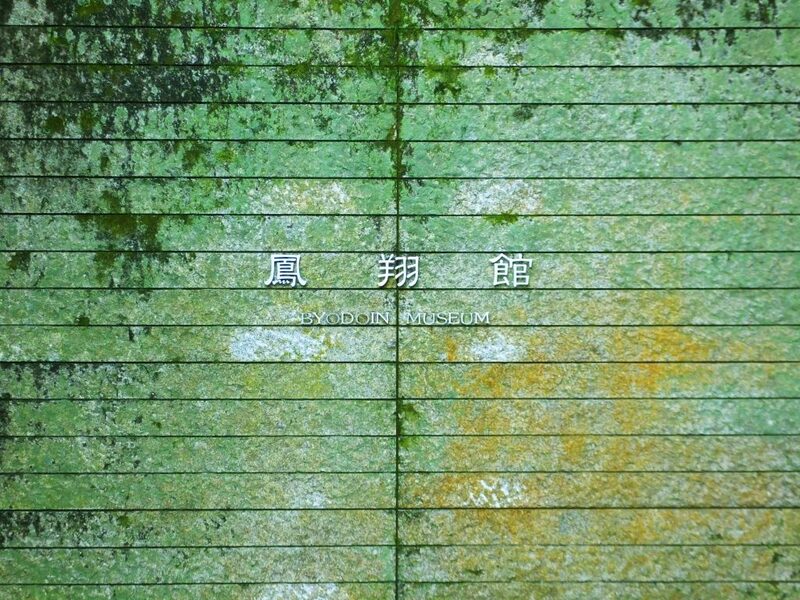 This is the sign of the museum. You can enter the museum without additional fee. There are many interesting things, including the old phoenixes and National Treasures of Buddhist Statues. I really liked all of them! Phoenix Hall was built in the Heian Period (794–1185), so I imagined that the aristocracy at the time enjoyed the same view. That is fantastic! 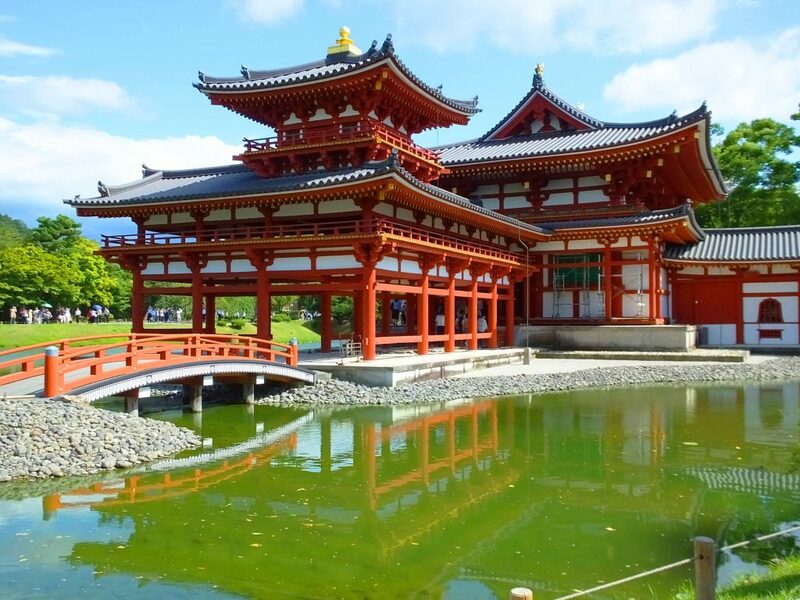 It is great to see the beautiful building over the pond, and you can also go inside. The additional fee to enter Phoenix Hall is 300 yen per person. The building has been designed as a World Heritage Site. It has been repaired several times, and the latest repair was conducted from 2012 to 2014. The sober Phoenix Hall has turned into red, and phoenixes, gold. I hear some people like these vivid colors, and others don’t. Do you like it? 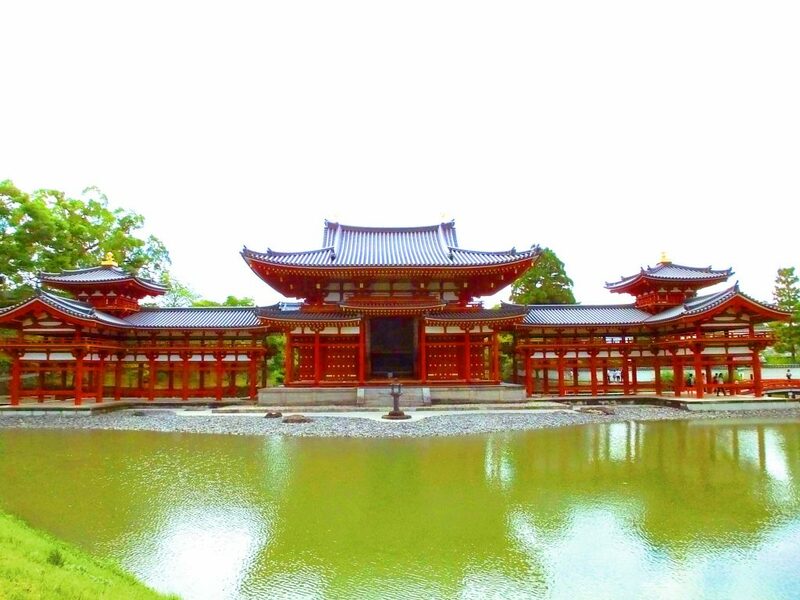 The word “Byodo” of “Byodoin Temple” means “equality”, but why is that? Actually that is because Amitabha (known as Amida Nyorai in Japan) has been believed to treat people “equally” and extricate everyone from difficulties. 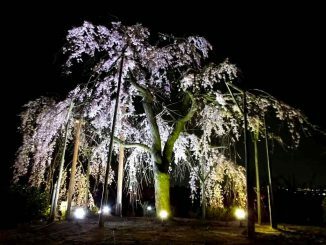 In the Heian Period, Byodoin Temple was regarded as Gokuraku Jodo (Pure Land of Amitabha) that appeared on earth, which means many people came here to pray for peaceful death and rebirth in Gokuraku Jodo. 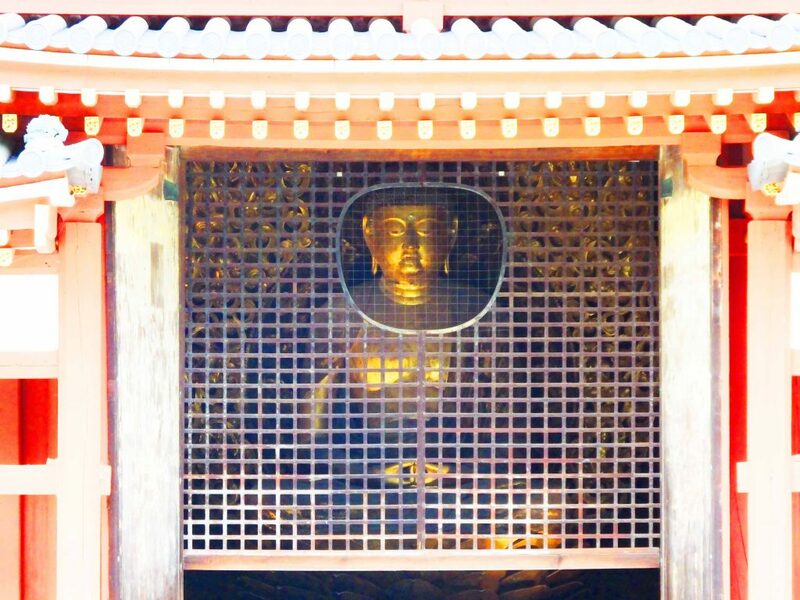 The big statue of Amitabha seated in the center of the Phoenix Hall looks very peaceful and “equitable”. The back of Phoenix Hall is as majestic as the front. Seeing the building and the bridge beautifully reflected in the water, I thought Gokuraku Jodo would be just like this. Look at the picture. The temple bell used to hang there. 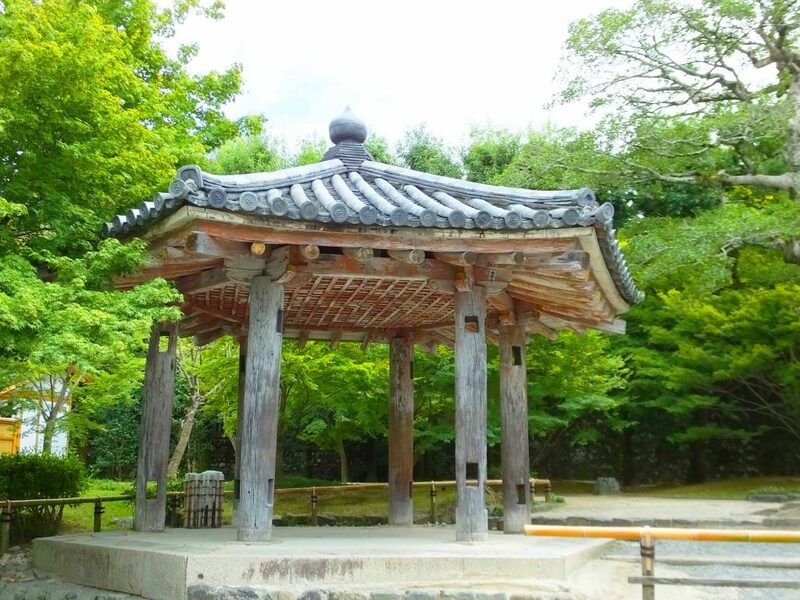 Now the bell is preserved in Byodoin Museum Hoshokan. You must see it! It is breathtaking. 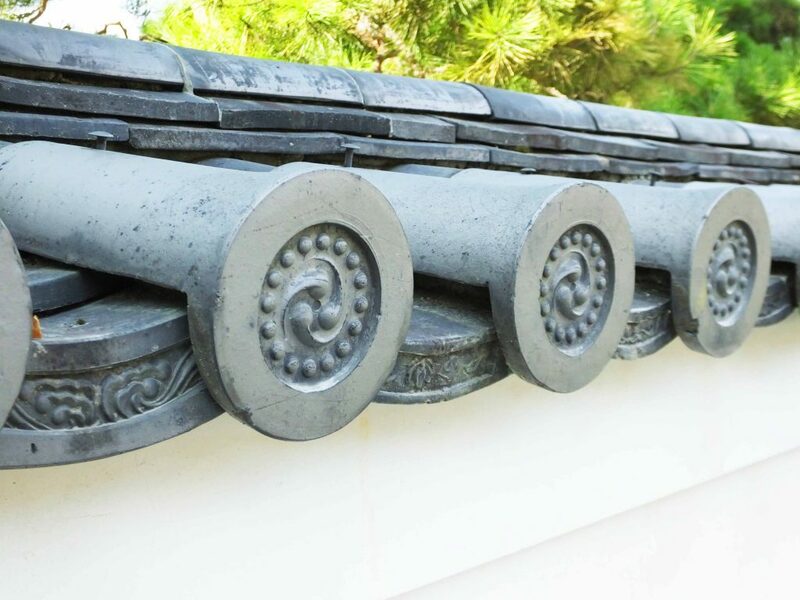 As I was walking in the temple, I noticed the meticulous design of the eave-end roof tiles. It is fun to see the details of the temple. When you visit the temple, try to look for them. Where are they? It may be easier to find the dragon head on the roof. It is a little funny, but meaningful because it is rarely seen in Japan. 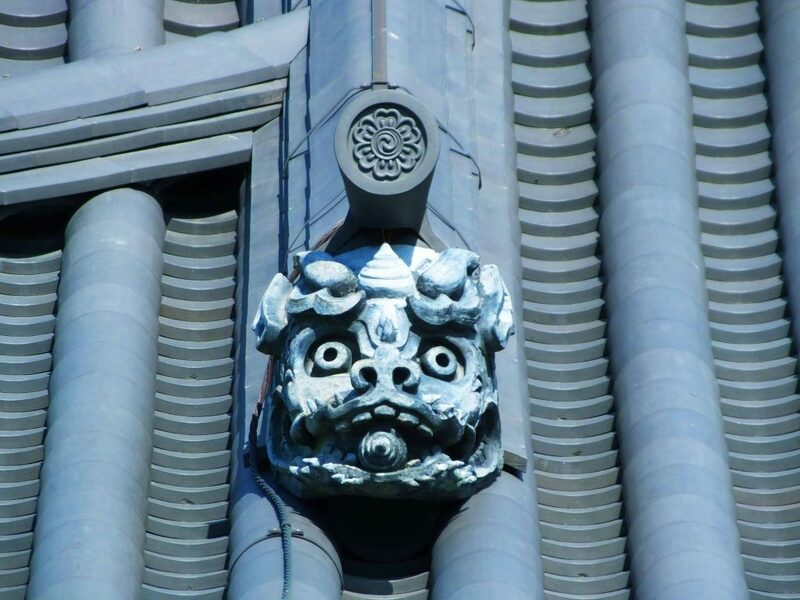 During the latest repair of the temple, they held the exhibition to show things that are usually seen on the roofs. 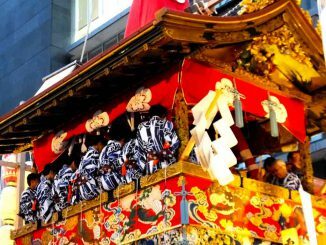 The dragon head was the highlight of the event, and attracted no less than 8,500 people in five days. When you go to the temple, enjoy high quality green tea. There are many tea houses on the approach to the temple. Tea from Uji City is well known not only in Japan, but also in the world. If you like coffee more than tea, go to Starbucks that will open in the spring in 2017. It will be located close to the temple.